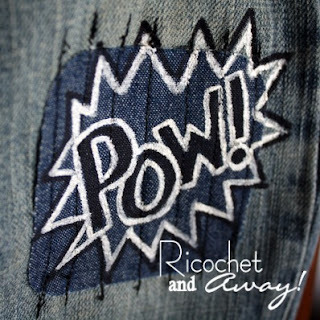 Ricochet and Away! 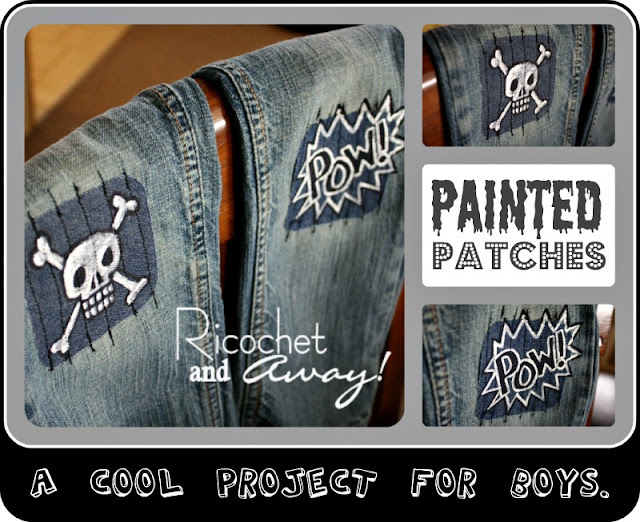 : Painted Patches: A cool project for boys. Painted Patches: A cool project for boys. When my son was younger, he would grow out of his jeans before he could wear out the knees. Now that he's older and plays a bit rougher, the knees of his jeans don't stand a chance. I began repairing the holes with iron-on patches. After a day at play or one round through the washing machine, the edges of the patches would curl up and my son would pick at them until they fell off completely. I tried placing the patch on the inside of the knee with similar results. I tried re-ironing the patches after every washing and adding some fusible webbing under the patches for extra adhesion, but nothing fixed the problem. The iron-on patches were only a temporary solution, I found. The obvious problem with sewing patches on little boys' jeans is that the legs are so dang narrow you can't slide them over your sewing machine. The holes are in the middle of the garment so you can't bunch up the fabric enough to avoid sewing through both sides of the pant leg. That didn't stop me trying though. Curse words could be heard streaming from my craft room throughout that time. I applied an iron-on patch over the hole. I ripped open the outer seam (the seam that was not top-stitched) of the pant leg. I ripped just enough so I could slide the bed of my machine through the opening. 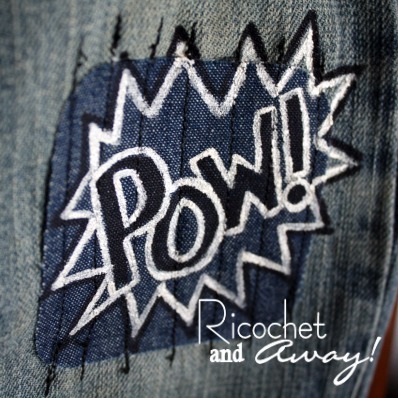 I used a strong top-stitching thread to sew down the patch. You can see from the photos that I sewed several parallel lines through the patch. I turned the pants inside out and sewed up the seam I ripped. I took a black sharpie and drew some little pictures on the patches. I used some Martha Stewart Multi-Surface acrylic paint (Mother of Pearl) to enhance the drawings. After drying and curing overnight, I washed and dried the jeans as I normally would. You can see the results of the washing in the photos. 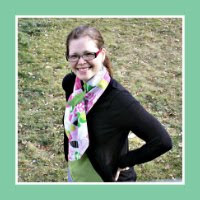 If you're reading this post before April 30, 2012, would you please vote for your favorite Typography Challenge project HERE? Anyone can vote once per day though out April. The voting page also links to each project and many of them have tutorials. Brilliant idea, Rikka!!! 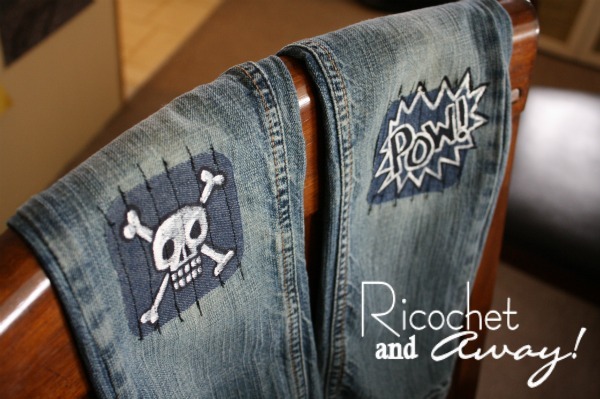 These are the best patches for boys that I have seen!!! 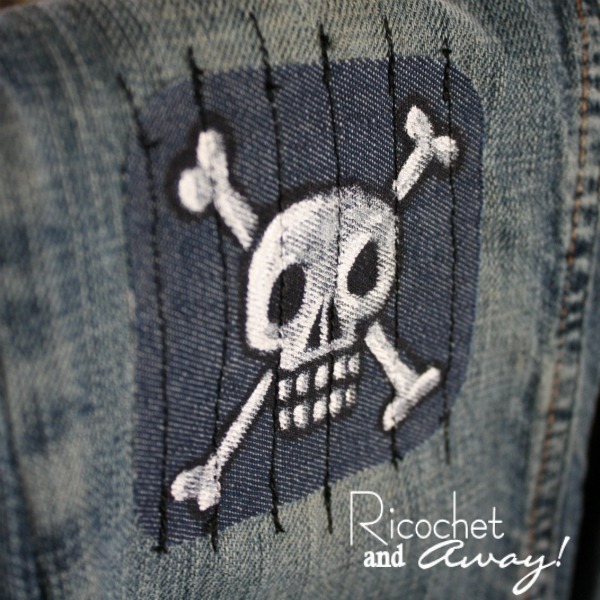 I just love the idea of painting on the patch and then extending that to the jeans. So much better than the hand sewn patches I used to mend my boys' jeans with. My boys would have loved these when they were little! I like the way you attached the patches on these pants with vertical stripes. I have a free motion foot so I usually use that instead of ripping out the seam. I swear my daughter walks on her knees at school. This year she has not only worn holes through 3 pairs of pants, but she has also worn holes through two of the patches! I'm always on the lookout for new and creative ways to mend her clothes. Great idea, but where do you get iron on patches? I can't find them at the stores. Got some hand me down jeans for my son and I did this to cover the holes. He loves them! Thank you! What a innovative idea!! kudos..
QAYG progress report: nearly done! Vote for your Typography Challenge Favorite!